Providing you the best range of industrial plug valves and plug valves with effective & timely delivery. We are one of the noteworthy enterprises engaged in offering superior quality Industrial Plug Valves. The pressure reducing valves are useful for the pressure reduction of the steam and are used in the various industries. It operates on the spring balance principal. Below the diaphragm downstream pressure is sensed which is balanced by the spring tension. The increasing spring tension also increases the outlet pressure. We offer complete pressure reducing station for the steam service which is designed and sized according to our valued clients specifications and details. 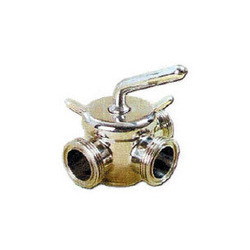 We are counted amongst the recognized organization offering of premium quality Plug Valves. We manufacture plug valves which permit the plug to rotate in and out of its position reducing the scrapping or rubbing. It caters to the varied industries which consist of food and Pharma, paper, textile, sugar, power, oil and gas. It can be customized according to customer specifications and details. Apart from this, clients can get the valves from us at industry leading rates.